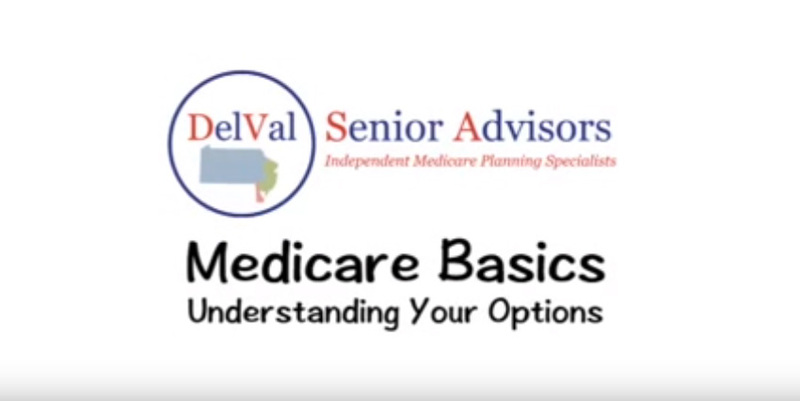 Confused by Medicare Choices? Afraid you'll make the wrong choice? Call us today for the right solution for your unique needs. We will be your personal advisor and help you understand the choices available. At DelVal Senior Advisors we are Independent Brokers with a menu of choices at our disposal. Let our experts help you identify the options that best fit your lifestyle. Already have a Medicare Plan? Find out about open enrollment. At DelVal Senior Advisors we know the rules and the latest changes to your choices. Let us show you the best choice for your unique situation. We are Owned and Operated by Medicare Plan Experts specially trained in helping you understand the options available. We have developed customized plans for hundreds of your neighbors. We make Medicare easy and understandable. Many questions are raised about enrollment in a Medicare Plan as you turn 65. What do I need to do? How do I go about it? Learn some of the basics you need to know about how and when to enroll in Medicare. 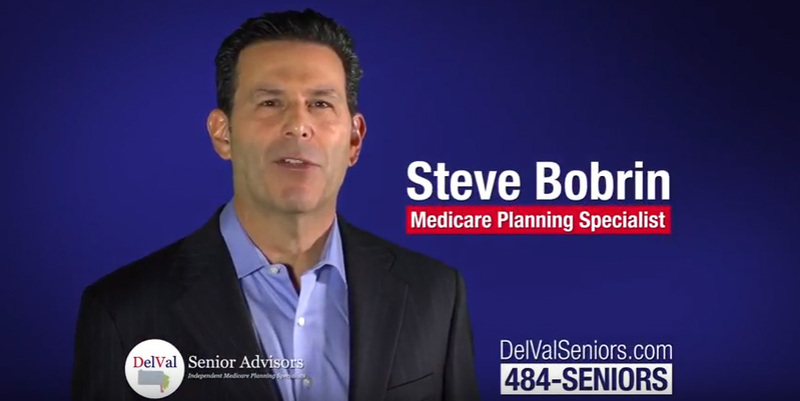 A Medicare Advantage plan is an alternative to Original Medicare Parts A and B. These plans are offered by private companies approved by Medicare. A Medicare Supplement (Medigap) policy is health insurance sold by private insurance companies to fill the “gaps” in Original Medicare Plan coverage. Why Buy Your Medicare Insurance From Us? We are a guiding hand through the confusing choices of Medicare. We are independent of any insurance company. You receive the same price from us that you would get if you went directly to the insurance company. A+ member of the Better Business Bureau. We will notify you when open enrollment begins and ends each year. As rates change, we will re-shop your Medicare insurance plan. We inform your doctors of your new plan and policy number. You will receive a quarterly newsletter to help you stay current on all Medicare news and resources. Would you like to speak to one of our Medicare experts over the phone? Contact us today. When my husband turned 65, we were bombarded with information about different supplemental programs. We were overwhelmed and very confused. Steve assessed my husband’s needs and explained his options. He made it easy to understand. When I turned 65, we went directly to Steve. The way he presented our options made it easy to choose, and took all our anxiety away. We recommend him and DelVal Senior Advisors to any senior in need of help. As seniors trying to decide on prescription coverage, we were at a complete loss as to which plan would best serve our needs. Steve spent the time (a lot of time) to figure out which plan would give us the most for our money. It was such a relief to have this help. Steve came highly recommended and his work exceeded all of our expectations. He is knowledgeable, responsive and attentive to the details of our account. I looked directly at Blue Cross, and they didn't offer a plan I wanted. I went to DelVal Senior Advisors and they were very responsive. They listened to my needs and were very perceptive in figuring out the best plan for me. I want you to know how much my wife and I appreciate your guidance in selecting the best supplemental health care and prescription plans for us. With so many plans available we found it hard to compare them and pick the best ones to fit our needs. You made it easy. Also, your follow up each year to make sure we continue to get the best plans, considering our changing conditions, is reassuring. Thank you. As I got near 65 my mail box was full of offers that looked very official telling me what I needed for Medicare coverage. To say the least it was confusing, someone in the medical field told me about DeVal Seniors. Steve took the time to explain everything and found the best plan for me. He put my mind at ease. Thank you Delval Seniors you are what all of us need! "I feel so relieved that DelVal helped me through the process. They made me feel like they had my best interests in mind, asking the right questions and understanding my circumstance before helping find the best solution. I didn't even know there were people like them and I bet there are others that don't know either." "As seniors trying to decide on prescription coverage, we were at a complete loss as to which plan would best serve our needs. Steve spent the time (a lot of time) to figure out which plan would give us the most for our money. It was such a relief to have this help." DelVal Senior Advisors is licensed to sell insurance in Pennsylvania, New York, New Jersey, Maryland, Virginia, and Florida.